The origin country of products is a key criteria for EU consumers when buying food, says a new survey by the European Consumer Organisation (BEUC). The organisation recommends an update of EU food labelling legislation. It's not easy for EU consumers to find out where their food comes from as origin information remains absent from many foods sold in European markets. When manufacturers do declare the origin on a voluntary basis, writing "made in" or "product of", it's often also impossible to figure out if a product was only processed, transformed or farmed in the given country. Recent examples have included sausages made from Danish pork manufactured in the UK and labelled as a "British" product. Flags, pictures and symbols are also being used on food labels to suggest a different origin, such as Greek fonts indicating that a feta-like cheese made in Germany has a Greek origin. In a new BEUC member research, 70% of the respondents said the origin is an important factor when buying food. "Consumers want more and more to know where their food comes from, but the state of play is quite confusing at the moment," Ruth Veale, head of BEUC's Food, Health, Environment and Safety Department, told a news briefing Thursday (24 January). The survey also found that a clear majority of shoppers want to know the specific country their food comes from. BEUC's survey was commissioned in July 2012 in Austria, France, Poland and Sweden and involved a representative sample of the national population. "Most consumers are interested in the origin because they relate this to the quality and the safety of the food," said Camille Perrin, food policy officer at BEUC, adding that most respondents also said they wish to support local farming, economy or companies. "To many consumers, to just know whether a product comes from the EU or not, is not sufficient enough. In some countries like France and Austria, the consumers would like to know even the specific region where the food comes from," Perrin said. Meat is the product on which most consumers said they wanted to know the country origin. 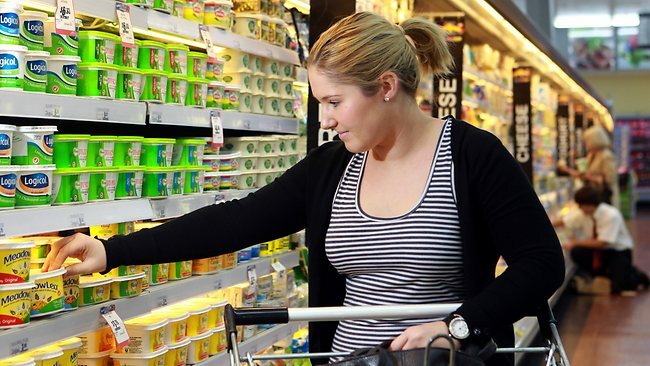 There's also a strong interest in knowing the origin country of fruit and vegetables, fish, milk and diary products where 70-90% of the consumers want to see origin labelling. For all other foods, origin labelling is only voluntary. The new EU food labelling legislation which will apply from December 2014 aims at increasing transparency about the origin of food sold on the EU market. Veale said a lot of surveys and reports are currently coming out of Brussels regarding food labelling, so BEUC's survey is "timely". "This is why BEUC wanted to conduct this survey; to really impose the consumer perspective into these reports. There's a lot yet to be decided, but it should be decided by the end of this year, so this is why we found that the time is perfect to really get a snapshot of what consumers really want," she said. BEUC recommends that origin labelling should become mandatory for all meats, milk, unprocessed foods, single-ingredient foods such as flour and sugar and ingredients that represent more than 50% of a food. Recent years have seen a growing interest on the part of European consumers to know the origin of the food they buy. In response, some industry operators have recognised the marketing opportunity this provides and communicate on the origin of their products. Indications such as "made in", "product of", etc. are multiplying on food labels as well as flags, symbols or pictures which can indirectly imply or suggest a particular food's origin. However, with the exception of a limited number of foods such as fruit and vegetables, beef, fish or eggs, for which specific pieces of EU legislation already provide for mandatory origin labelling, origin information remains absent from many foods sold on the EU market. Since the EU agenda is ultimately to have some sort of “United States of Europe” it is unlikely that national labelling of goods is well received in the lofty circles of the EC or the federalists. It certainly will not be enforced, regardless, as usual, of what the citizens might want. Just be glad that in future “Made in EU” stickers will tell you its not of oriental or BRIC origin. Why do you need to know more? How dare you. It’s good to see EU decision-makers taking origin labelling seriously – however country of origin is just one element consumers care about. The majority of consumers also want to know the farm system their food comes from – and the new EU Animal Welfare Strategy aims to put consumer information in pole position to deliver further improvements in farm animal welfare. The EU’s innovative egg labelling scheme has been very successful in extending the market for higher welfare/cage-free eggs. This ‘method of production’ labelling scheme should now be extended to meat and dairy products – to give consumers and farmers the chance to benefit from greater market place transparency.